As the owner of multifamily real estate, your return on investment (ROI) does not solely rely on your ability to increase rents. One of the beautiful aspects of owning apartment communities is the ability to generate multiple streams of income from a single asset. 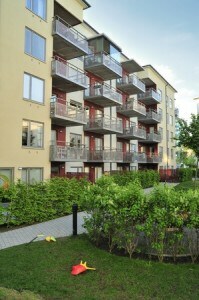 Look to apply these principles to your current or next apartment complex to generate the highest returns possible. Whether you own a single-family rental (SFR) or apartment complex, one of your largest expenses is turnover. Turnover is not as easy as finding a new renter and handing over the keys. Turnover actually means repairs, fresh paint, cleaning carpets, repairing floors, etc. Turnover also means marketing that unit and putting it online, all at a cost. One of the best ways to minimize turnover is to add a thorough vetting and application process. This will ensure you are putting the best possible tenants into your property — good tenants who will pay on time and take much better care of the unit, reducing the time and money you will have to spend at the end of their lease term. If you own a property where the utilities are paid by you, the owner, then this is for you. Water bills can be expensive. Look into adding low flow toilets, shower heads and sinks. And LED lighting is here to stay: You can reduce the overall electric bill on the property by swapping out old exterior and interior lighting with LED fixtures. Not only does this lighting swap look better, but the ROI is there too. Even though this falls under capital expenditure, you will find the ROI is worth it. These upgrades are also worth it if you are going for a Fannie Mae Green Financing Loan: You may get a better rate and loan-to-value ratio if you are able to implement these updates. Don’t be a pushover. If you have renters who pay late, it is your right and responsibility to charge tenants for their tardiness with payment. In your leases, you are entitled to identify that you charge a late fee. If you are using a third-party property management company, make sure it stipulates a late fee to tenants. If you own a complex and have long-term renters, now would be a good time to increase their rents. Just because they have been living there for a while does not entitle them to a discount. A strategic way to increase a tenant’s rent is to also update and schedule maintenance for that building/unit. Show them why their unit will be brought up to market rent and give them a reason to stay. It is a delicate approach, but when done correctly, it can be very effective. After you have exhausted and executed the above strategies, look for ways to add additional streams of income. Some of the most common revenue streams to add are laundry, TV, internet and cleaning services. As an owner, look to work with contractors who specialize in these fields. For example, you can charge a tenant $100 for a unit cleaning when the contractor is charging you, the owner, $60. This brings you a $40 profit per month or bimonthly. Multiply this across a several-hundred-unit complex, and you have real money coming in. Some of the more up-and-coming revenue generators that are being implemented today are coffee bars, high-speed Wi-Fi stations and rentable business conference rooms. As you can see, there are many ways to increase efficiencies and day-to-day operations to grow your net operating income (NOI). There are also numerous ways to add revenue streams to your property. Brainstorming with your property management firm for additional revenue can help a lot if you are an out-of-state owner. By implementing a few of these principles, you can expect to see an impact on your ROI very quickly.